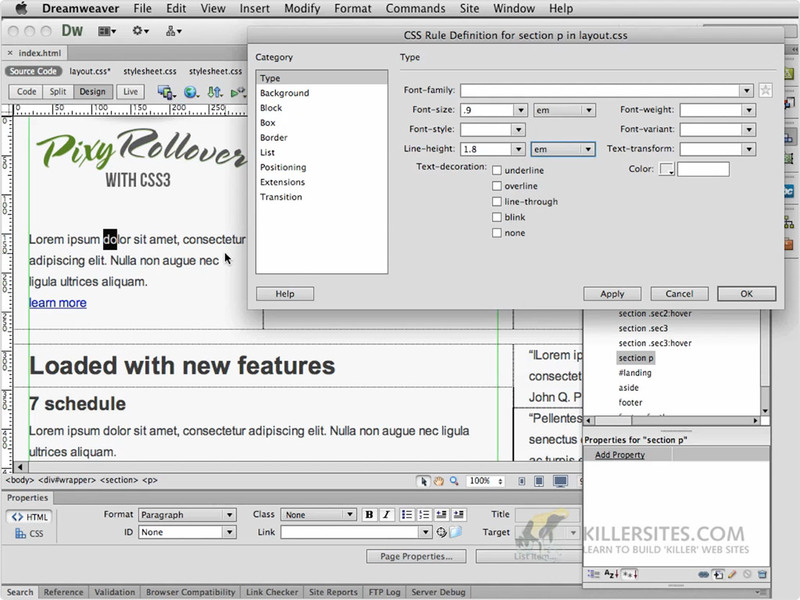 Adobe Dreamweaver is probably the most popular web design app out there. It has both point-&-click tools for building a website, and a reasonably powerful code editor as well. Ahh ... your first nerd-term! WYSIWYG is short for: What-You-See-Is-What-You-Get. This means that when you are building websites in Dreamweaver, the Dreamweaver app tries to display the site as it would look in web browsers. It’s pretty good but not 100% accurate. So you will have to test your sites in web browsers anyway. ... Nonetheless, some web designers prefer using WYSIWYGs like Dreamweaver, since it mimics using desktop publishing apps - for example: Adobe InDesign. Dreamweaver is not essential in modern web design. In fact, the majority of professional web designers and developers don’t use Dreamweaver. Nonetheless, it is still an important app and learning Dreamweaver will basically mean you will learn how all web design apps work - they are all very similar. ... It’s kinda like driving a car; if you can drive a Ford, you can drive any car from any manufacturer. You could start by learning Dreamweaver (many do), but I would suggest you learn basic web design first (HTML and CSS) and then move to Dreamweaver - why learn two things at the same time! Anyway, it’s up to you.